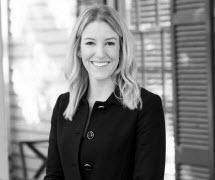 A native of Durham, North Carolina, Jennifer "Jen" Wyatt began her career with Dysart Willis after graduating from Campbell Law School in Raleigh. Jen is excited to represent clients facing allegations of criminal charges throughout North Carolina. Jen joined Dysart Willis as a legal intern in 2017, becoming an associate after law school. Prior to law school, Jen earned a Bachelor of Social Work degree from East Carolina University. She found her passion for criminal defense while working as an intern for a domestic violence abuser rehabilitation program during college. As a student at Campbell Law, Jen was elected by her peers to serve as an honor court justice, where she gained experience advocating for the accused. Jen is dedicated to fighting for her clients and ensuring that their fundamental legal rights are protected.